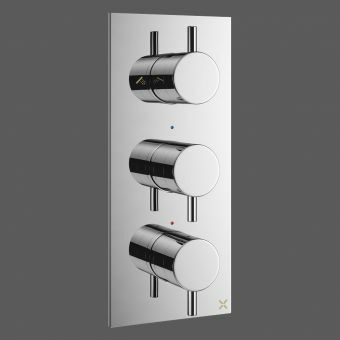 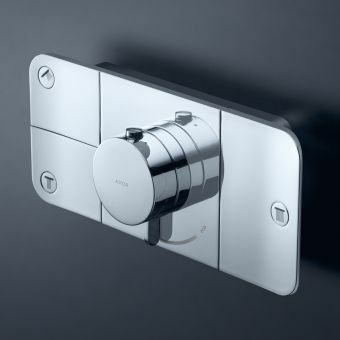 Condensing both temperature and flow controls into a single, easy to use lever valve, this exposed shower mixer provides a simple and effective control mechanism for two compatible shower sets. 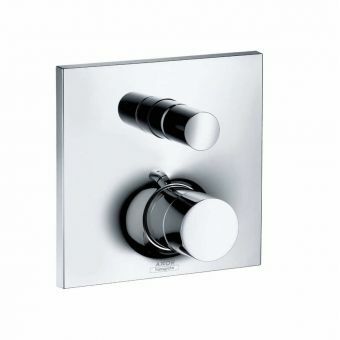 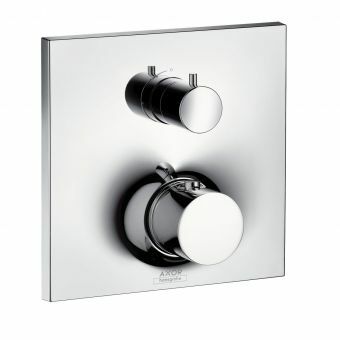 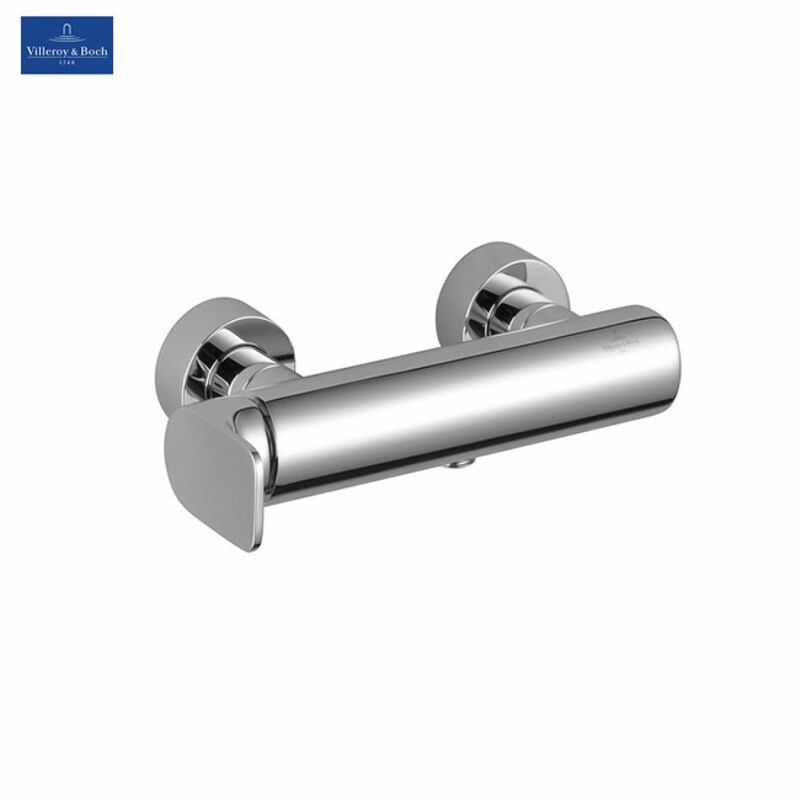 Presented in a simple, wall mounted arrangement, this valve is a highly modern piece of bathroom brassware. 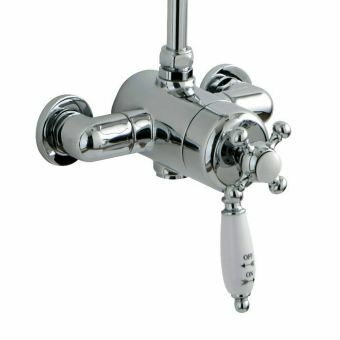 Fitted with intrinsic back flow prevention, this piece is designed with long term durability in mind. 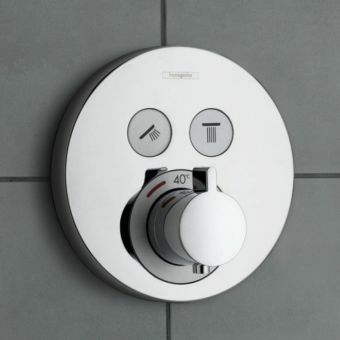 Ceramic discs ensure a smooth operation, and its ergonomically designed handle gives plenty of grip and leverage for full accessibility. 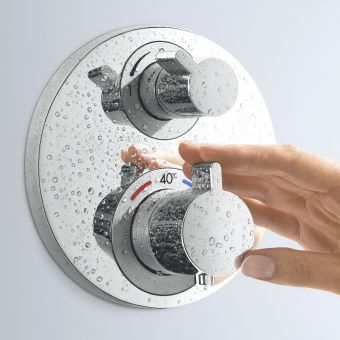 Fitted with a half inch shower outlet connection and concealed half and three quarter inch S connectors, this piece is compatible with most plumbing. 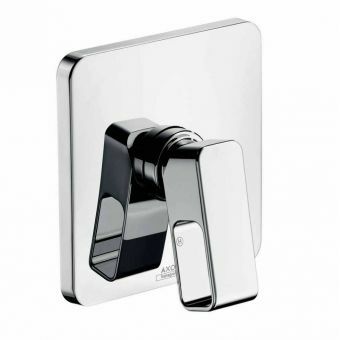 Available either in a bright chrome finish, or in matt white as a special order if required.